Since I am a baseball fan and Red Sox fan, I decided to REPOST this TRUE STORY for Blog Your Blessings Sunday. Originally titled "How a Red Sox Fan got Religion" , it was published on this blog in February (when NOBODY read my blog) as a farewell to Keith Foulke. Enjoy. Exodus 17:8-13 The Amalekites came and attacked the Israelites at Rephidim. Moses said to Joshua, "Choose some of our men and go out to fight the Amalekites. Tomorrow I will stand on top of the hill with the staff of God in my hands." So Joshua fought the Amalekites as Moses had ordered, and Moses, Aaron and Hur went to the top of the hill. As long as Moses held up his hands, the Israelites were winning, but whenever he lowered his hands, the Amalekites were winning. When Moses' hands grew tired, they took a stone and put it under him and he sat on it. Aaron and Hur held his hands up—one on one side, one on the other—so that his hands remained steady till sunset. So Joshua overcame the Amalekite army with the sword. But the Yankees are heavenly. How can this be? Wow! 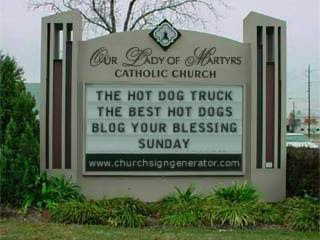 Terrific blessing, and I love the pic that goes with .. :) Happy BYB Sunday! Fantastic blessing/story... and yeah, the Sox rule! Added a link on my sidebar to a fellow dreamer pursuing his dream! 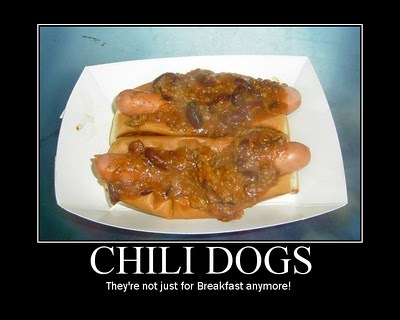 Gotta visit and try a dog soonly! Very Funny! Happy BYB Sunday! I loved this story. Now I have to go find out what happened to Keith. Can you guess I am not much of a baseball fan? Here for BYB Sunday. Thanks for joining. It was a great story. I don't know though... you think God watched baseball? I always pictured Him as a Backpacker and Cyclist.